"BeeLine Reader is a new bookmarklet that claims it will help you read web pages faster and more efficiently on your mobile or computer screens. 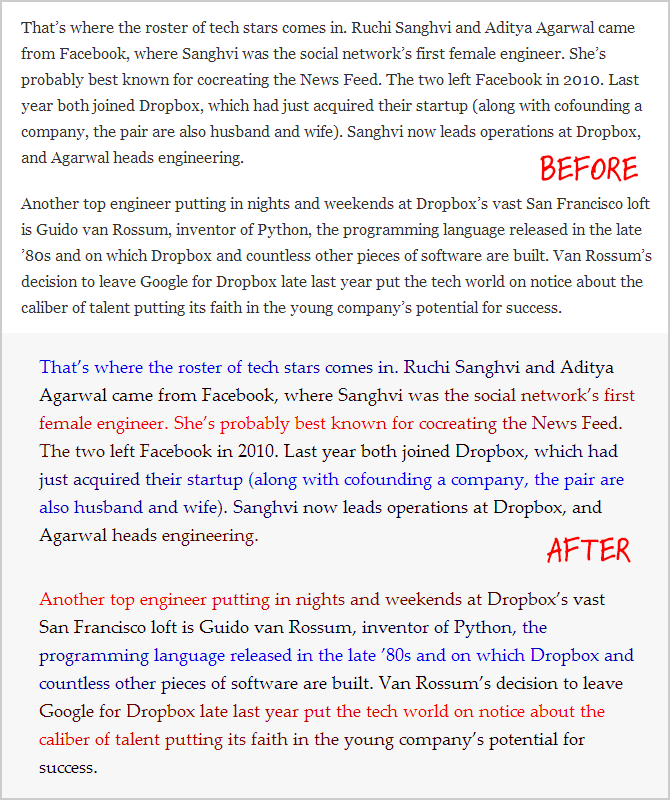 While you are on a web page, click the BeeLine Reader bookmarklet and it will reformat the content of that page and applies a subtle horizontal color gradient to all the individual letters of a line of text (see screenshot). The idea is that the color gradients will help guide the reader’s eyes as they transition between lines and and also reduces the risk of skipping or repeating lines so you read faster. BeeLine Reader is available as a bookmarklet and thus can be installed on any browser, including mobile browsers, and they have a special OpenDyslexic version that aims to increase readability of web pages for readers with dyslexia."